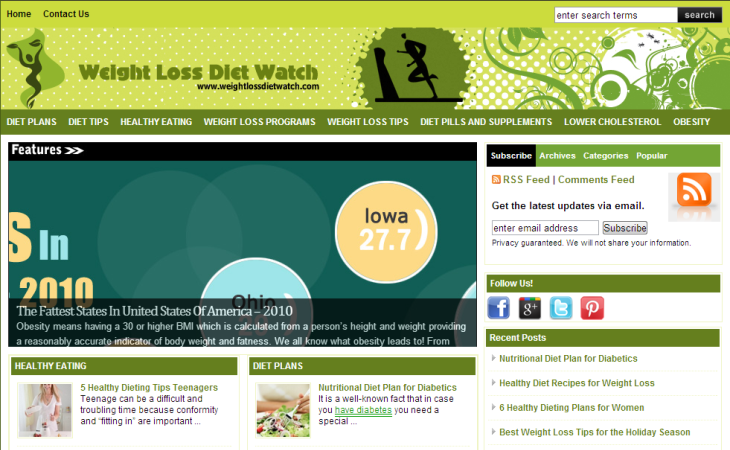 WeightLossDietWatch.com Information on weightloss, diet & healthy eating habits, diet pills & supplements. A blog that deals with one of the major health problems – obesity. Covers various topics including weight loss programs, diet plans, diet tips, healthy eating, lowering cholesterol, diet supplements, and more..